Where do I find rob shop? How do I get past the part when It says rob shops or bring cars to bru..
Where do I go to pay bruno? Cause I been by his place and nothing happ..
Where do you take brunos money have been to bruskis scrapyard but he j..
did this happen to any one else? 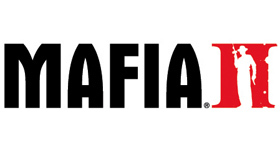 why does the game keep freezing up on the mission where you have to go..
Im stuck in Ch 14, ok, so I've done everything in Ch 14 up to the part..
Search for more answers for Mafia 2 or ask your own question here. did this happen to any one else? why does the game ke.. Stuck in Ch 14 Im stuck in Ch 14, ok, so I've done ev.. I am stuck at the chapter where you kill Derek.. Ever..
How to get the 'A Real Gentleman' Ac..
HOW DO YOU GET INFINITE HEALTH/IF TH..
Can you find & keep a hot rod in the..
How to roam free when you you beat ..